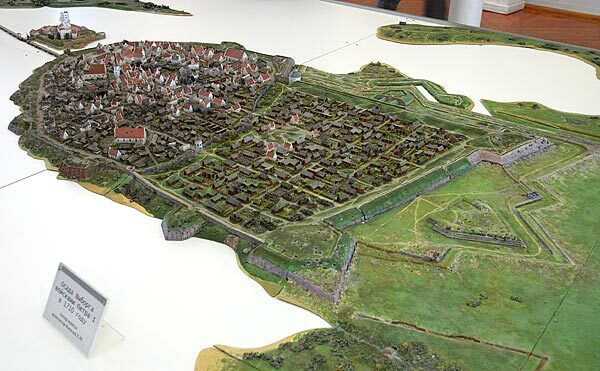 The model of medieval Vyborg could be seen in the city museum in the Castle. 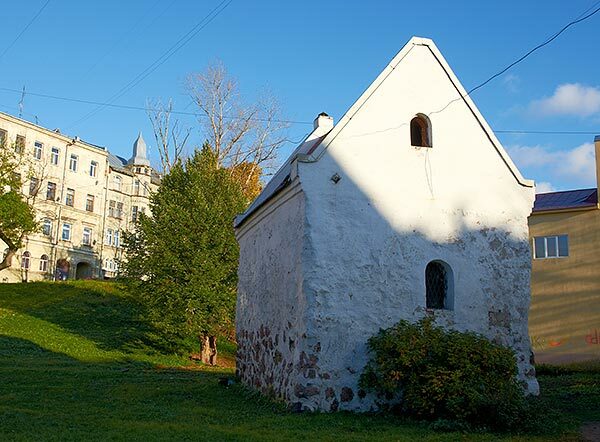 You can see the sight of the city during the Russian besiege of 1710. The near to one third of it's buildings were ruined in that times. The Gornwerk (Hornwerk) fortifications with it's two big bastions and ravelin are seen on the right. The Panzerlaks bastion is nearest to us.